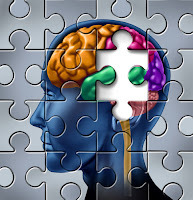 The neuropathology guidelines used since 1997 to diagnose Alzheimer’s disease at autopsy have been updated to reflect a deeper understanding of Alzheimer’s and other dementias. The effort, a project of the National Institutes of Health and the Alzheimer’s Association, will help pathologists characterize Alzheimer’s-related brain changes at death in people diagnosed with dementia and those who have not yet shown clinical symptoms. Further, the new guidelines recognize the importance of reporting pathology findings for all diseases that contribute to dementia—not just Alzheimer’s-related changes—and to correlate those findings with clinical symptoms. The new National Institute on Aging–Alzheimer’s Association Guidelines for the Neuropathologic Assessment of Alzheimer’s Disease were published online on January 18, in advance of print publication by Alzheimer’s and Dementia: The Journal of the Alzheimer’s Association. These guidelines are distinct from, though consistent with, guidelines for diagnosis of Alzheimer's disease in live patients published last March. Read more in Psychiatric News. An in-depth review of Alzheimer's treatment and research can be found in the American Psychiatric Publishing Textbook of Alzheimer Disease and Other Dementias.